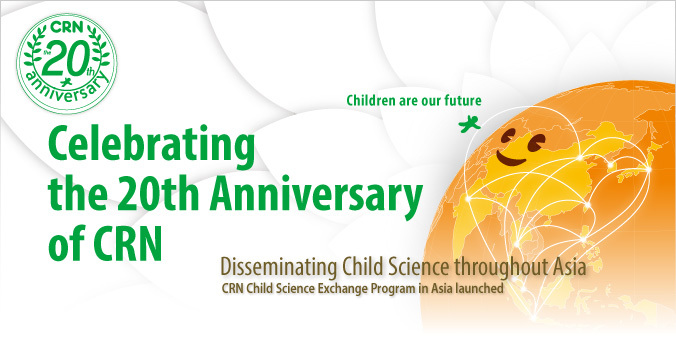 CRN was established in 1996 as a web-based Child Science research institute. Our 20th anniversary is totally attributed to all of our contributors. to find keys to the solution of issues involving children in Asia. "Child Research Network Asia (CRNA)" as of March 19th, 2018. Dr. Noboru Kobayashi (founder and Honorary Director), and Dr. Takemochi Ishii (Special Advisor). looking at ten to twenty years toward the future, and what they expect from CRN.